Right now, the biggest smartphone launches of the year are Samsung’s Galaxy S8 and Galaxy S8+. 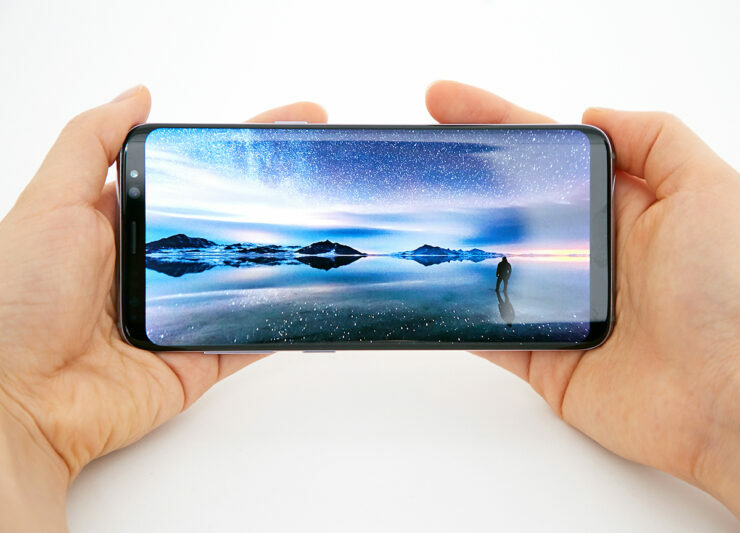 The Korean tech giant launched an excellent combination of performance specifications and design features earlier this year. The S8 and S8+ feature edge to edge, bezel free displays. They’re also the first smartphones from Samsung to feature an Iris scanner. Today, we’ve got a fresh benchmark belonging to the Galaxy S8. Take a look below to find out more. When it comes to performance, the Galaxy S8 and Galaxy S8+ are beasts. The American versions for the pair feature the 10nm Qualcomm Snapdragon 835. For the rest of the world, users get their hands on the Exynos 8895, also manufactured on the 10nm by Samsung. In terms of performance, data suggests that it’s the Exynos which once again beats its American counterpart. Even though Samsung manufactures Qualcomm’s Snapdragon lineup, the Korean tech giant has proven time and time again to have the best processors in town. Today we’ve got a Geekbench score for the Samsung Galaxy S8. It shatters all records for multi core scores and goes to show just how strong the Exynos lineup from Samsung really is. 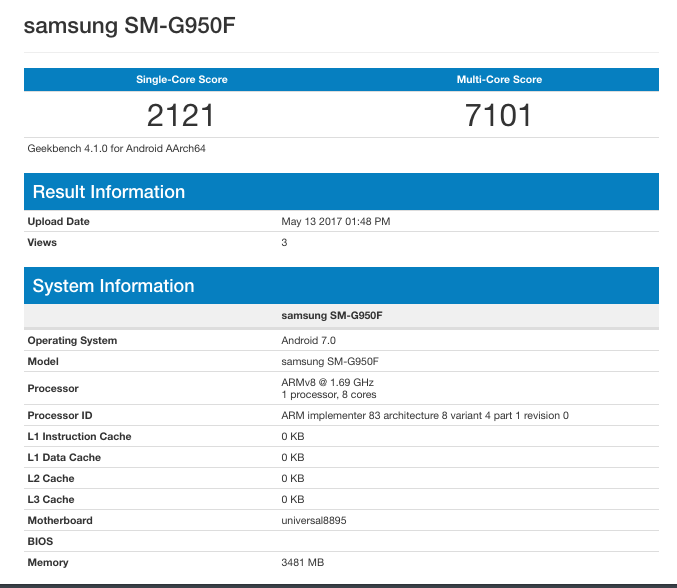 An international variant of the Samsung Galaxy S8, running the Exynos 8895 was put to test on GeekBench. The results paint a mixed picture for single and multi core results, and are natural if compared against Apple’s iPhone lineup. As you can see above, the Samsung Galaxy S8 scores 7101 points in Antutu for multi-score, higher than any other device out there. In fact, it’s a new record for the benchmark database. In single core results, the scores aren’t impressive by any account. Apple’s still king in this area and looks like Samsung will have to do a lot more work with its Mongoose architecture. Despite decreased node size, the latest 10nm FinFET isn’t geared specifically to increase performance. Rather, as is more suitable with mobile devices, manufacturer’s aim towards improving power consumption this year. How effective are they? We’ll find out once the market is saturated with 10nm smartphones, from both Samsung and Qualcomm. Till then, stay tuned and let us know what you think in the comments section below. We’ll keep you updated on the latest.